Soooo you’ve picked your megagame concept? Congratulations! I’ve picked mine too – I’m going to be working on getting Trope High ready for running early next year. So now it comes to the next important part of the plan. Your megagame isn’t getting off the ground unless you start thinking practically from the very beginning. If you’re anything like me, you struggle to do anything without a deadline in mind. One of the best things you can do for your megagame is to set the date as soon as possible. This means making a number of decisions quite early on. Yes, you can casually develop your game for months without doing this, but this series is going to assume you’re serious about getting this off the ground. So let’s make those decisions and set that date! First, when you pick a date, this is a serious commitment. You are saying to the world, “yes, my game is going to work, and I’m going to finish it.” This is especially important when you start taking money for bookings, or if you’re working with an existing megagame group, who will have prioritised your game over other options. 6 months to go: Venue booked. Major mechanics decided. Cast list planned. Turn structure planned. Initial marketing set up. 3 months to go: Major mechanics playtested and nailed down. Start taking payments. 2 months to go: Casting finalised and publicised. Sub mechanics playtested and nailed down. Game material designs finished. Map ordered. 1 month to go: Game handbook finished and sent to players. 2 weeks to go: All game materials designed and production well underway. Pre-game briefing with control team. 1 week to go: All game materials produced. Personal briefings sent to players. Final details fitting into place. So take a look at your time between now and the date you’re thinking of running your game. Do you feel like you can hit those goals? Do you have a major holiday booked in the 2 months before the game, or a really busy time at work? Be practical but ambitious – that’s my advice. Go your own way or team up? There are two choices here: independently, or through an existing megagame group. 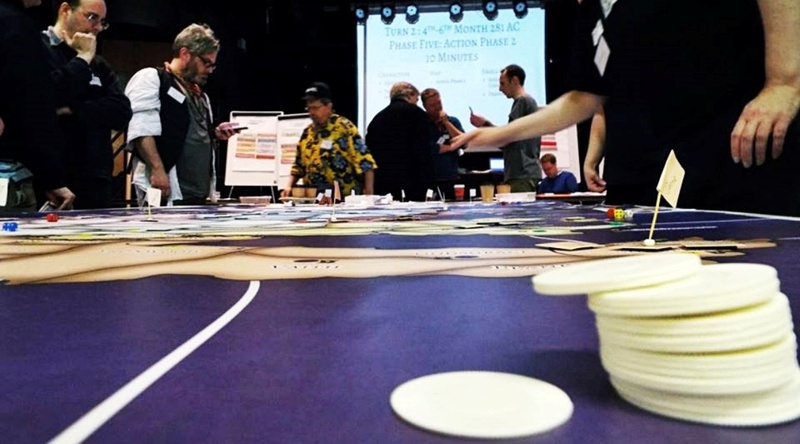 There are a number of megagame groups around the country (and the rest of the world) who come together to organise games jointly. Usually this is in the format of individual designers working on individual games, with the other designers and megagame enthusiasts assisting with playtesting and controlling the game on the day. These groups often have existing marketing channels, such as email lists and Facebook groups. Some groups charge a fee for the service they offer, but many are free-of-charge to work with. On the other hand, you can run it without a group. 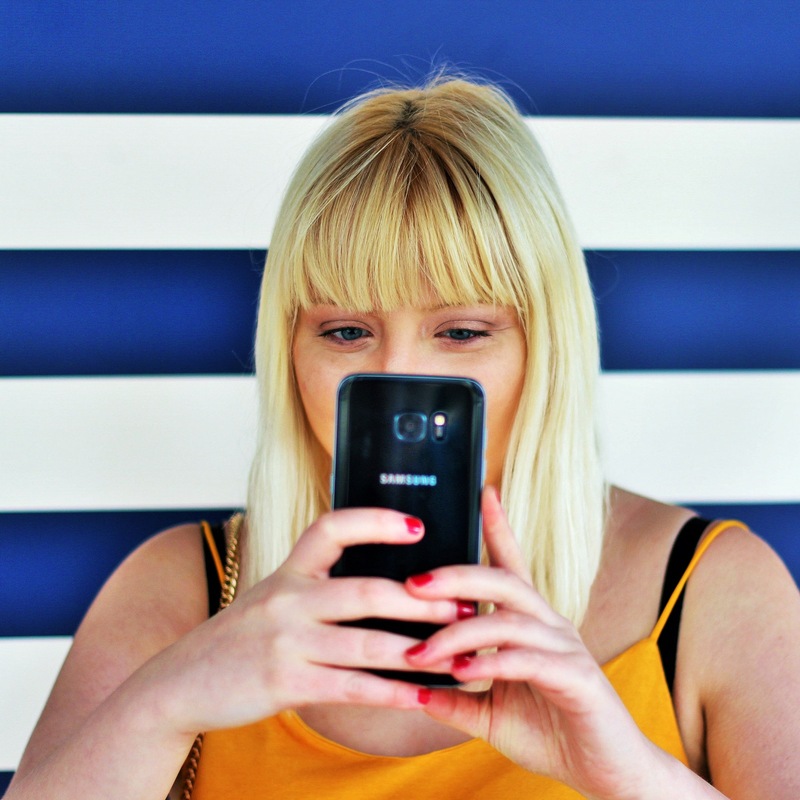 This is a lot harder – you will need to source control and advertise it all yourself. Perhaps you’re considering this option because you want to set up a commercial organisation to run a megagame – as a warning, very few people are successfully running megagames commercially. If you’re in an area without a megagame group, this might make you look into setting a new group up. This is a challenge, and I’d definitely encourage you to reach out to the wider megagaming community if this is something you’re considering doing. If you do go the group route, they will have their own process for choosing which games to put on their calendar. This may involve pitching your game to an audience, writing a proposal, or just booking a date that works for them. We’ll talk a little more about pitching your game next blog post. Picking the date for an event can make or break it, but you often find yourself penned in to a very limited number of options, particularly if you’re working with an existing gaming group. Your own choke points – as mentioned, set the game at least two months after a busy period at work or a major trip away. Even better – plan a holiday for a couple of weeks after your game, to allow you to really de-stress. Similar games already announced – don’t divide your audience. People often travel a considerable distance for games, so don’t assume that because it’s 3 hours away it’s not a conflict. Any other major gaming events (e.g. International Boardgame Day, UK Games Expo) – unsurprisingly, a lot of megagamers enjoy other types of gaming. Bank holiday weekends – people are often on holiday, though this is probably the least bad to conflict with. Also consider school holidays. This is often largely dictated by the group you’re running your game through (if you are) and your own location. Generally megagames take place in cities, and often as close to public transport routes as possible (although parking is another important consideration). I think I can probably dedicate a whole blog post to picking a venue, so for now I’ll just say that knowing the city where your game is taking place is the most important thing to know at this point. The venue itself can be narrowed down nearer the time. Bear in mind that Saturdays during the summer can get booked up incredibly early for weddings, summer parties and the like, so you’ll need to book further in advance for dates in May through September. At this point you’ll also want to know how you’re going to go about taking bookings for your game. Specifically, if you’re doing expressions of interest, or letting players book immediately, and when they’re paying. There are a number of different systems out there to ease this – Eventbrite is a great ticketing system, although I personally use Paypal and an Excel spreadsheet (that I’ll share with you later in the process). I also go for option 1, although I think option 2 is a lot more streamlined (you wouldn’t expect to pay a deposit for a movie or theatre ticket, after all). You also want to set a game fee – the UK standard is £30 per player and free for control (although some groups do charge a nominal fee to ensure buy-in from the control team). Also consider whether you are casting players yourself or allowing them to choose their own roles when they book. There are pros and cons to both approaches, and I’ll discuss these when I get to casting, but overall I’d say that casting players yourself is the best call. To be honest, things have got very busy with a) MegaCon UK and b) Everybody Dies 3. I haven’t submitted my pitch to Horizon Megagames (where I’m hoping to run Trope High) yet, but hopefully I’ll be able to update you by HtWaM3. But the basic draft logistics are: ideally May or June 2019; London; Horizon Megagames; expressions of interest followed by game fee.